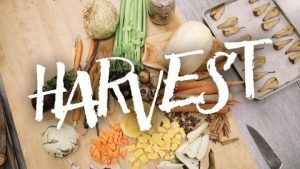 You are invited to join us for a free Harvest Dinner on Saturday, November 10th, in Fellowship Hall, located on the lower floor of our church. This will be a traditional Thanksgiving Dinner offered free to our community! We will be serving from 5 pm to 7 pm. Plan to join us for dinner, welcome our guests, and volunteer if you can, so that we can continue to share this special meal with all our neighbors! If you can help with this event, please contact Lauralee MacLeod, chair.